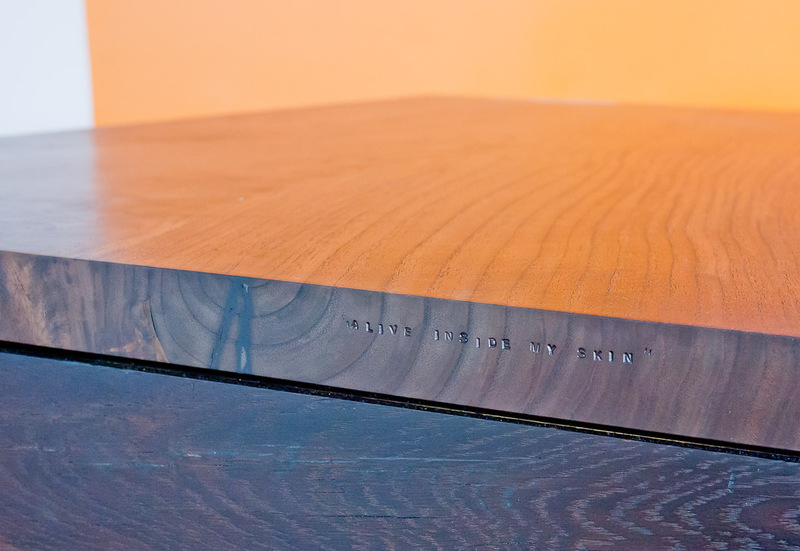 Box Collective | Sustainable Wood. Designer Makers. 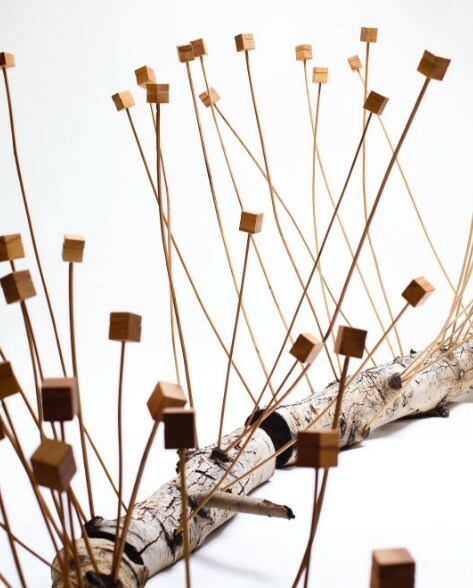 Windfall by Box Collective is on view at the Craft an Folk Art Museum from May 28 – September 4, www.cafam.org. 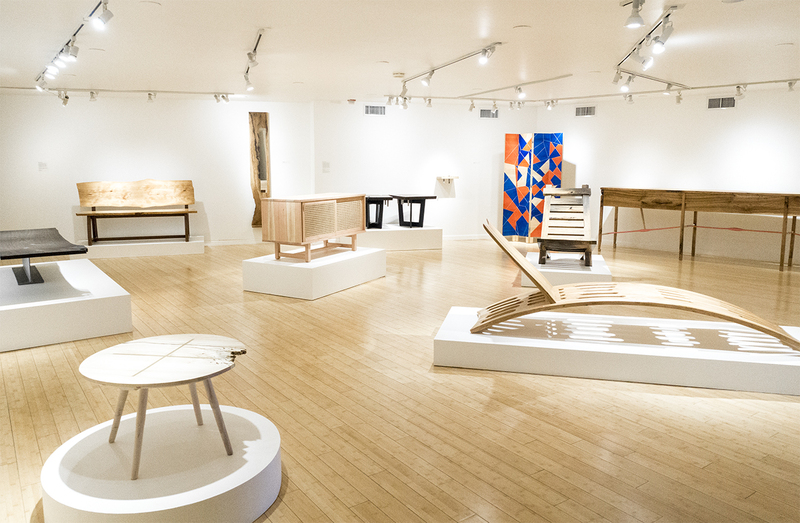 The exhibition consists of 15 works of furniture and objects made from salvaged trees, most of which fell in northeastern L.A. and the San Gabriel Valley during the historic windstorm of 2011. During the November 30th/December 1st storm, wind speeds reached up to 100 miles per hour. 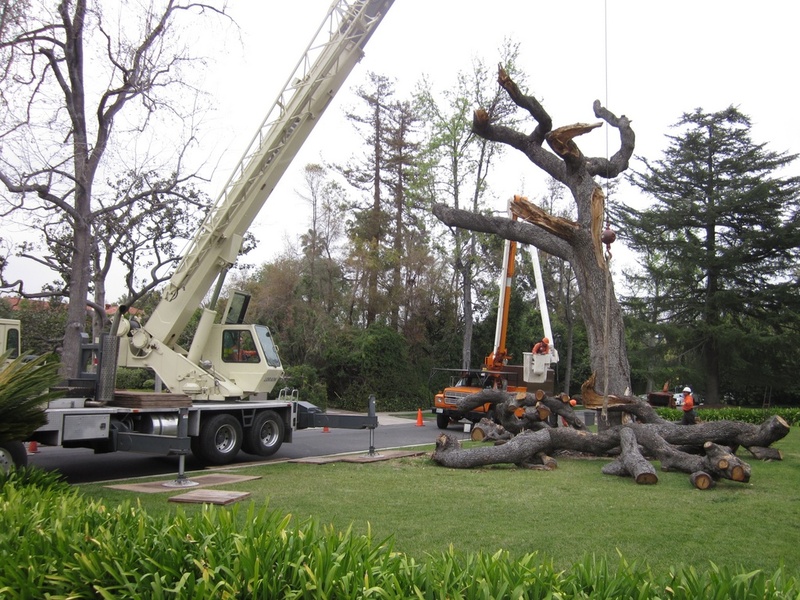 Nearly 5,500 trees were damaged in Pasadena, while hundreds more were destroyed in neighboring vicinities, including about 300 non-native and prehistoric species at the Los Angeles Arboretum & Botanic Gardens in Arcadia. 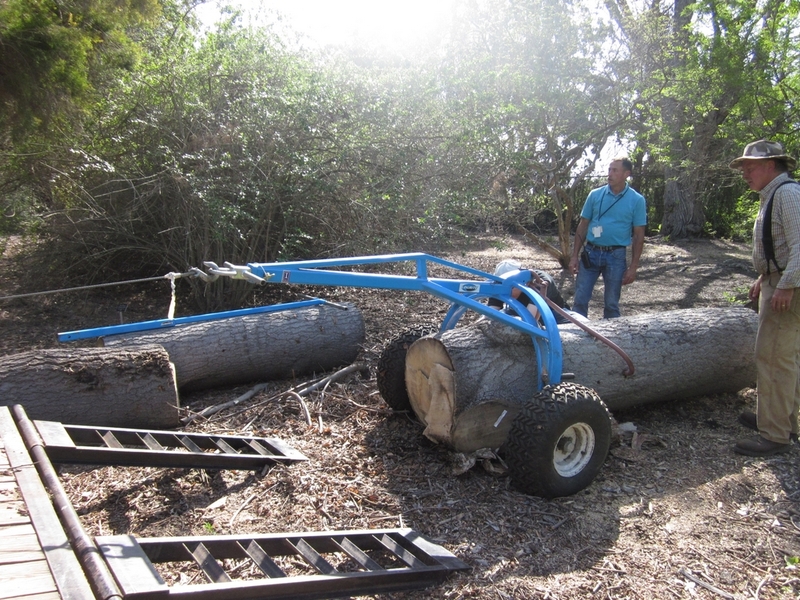 Many logs from downed trees at the Arboretum were salvaged soon after the storm. Some were used for Forces of Nature, a show of artworks and objects made from the salvaged wood, on the first anniversary of the storm. Some were saved and carefully dried so that they could one day become fine furniture. Most of the works for Windfall are made out of this wood collected from the L.A. Arboretum’s fallen trees. David Johnson’s media cabinet is made from the entire trunk of a pink cedar, while designer Stephan Roggenbuck chose Lebanese cypress to make his bench. 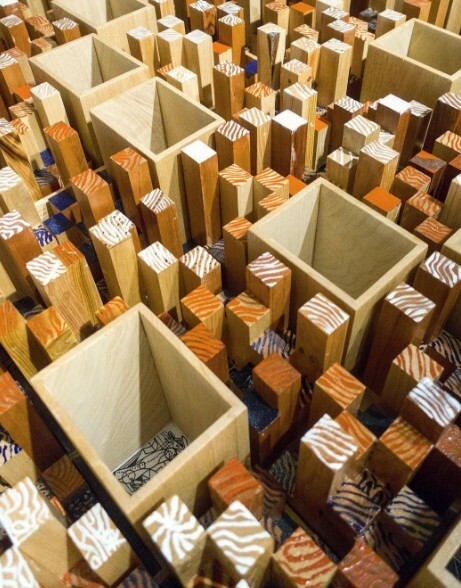 Cliff Spencer used pieces of a paulownia tree to make a sleek, contemporary beehive; a city scape of a sound diffuser; and a multi colored, folding screen. Furniture maker Harold Greene’s chaise lounge is built from bent laminated layers of a cedar of Lebanon. Woodworker Andrew Riiska salvaged a persimmon tree in the pouring rain to build his Grasshopper Lounge Chair and a bench that is part of his marshmallow forest installation in the CAFAM lobby. 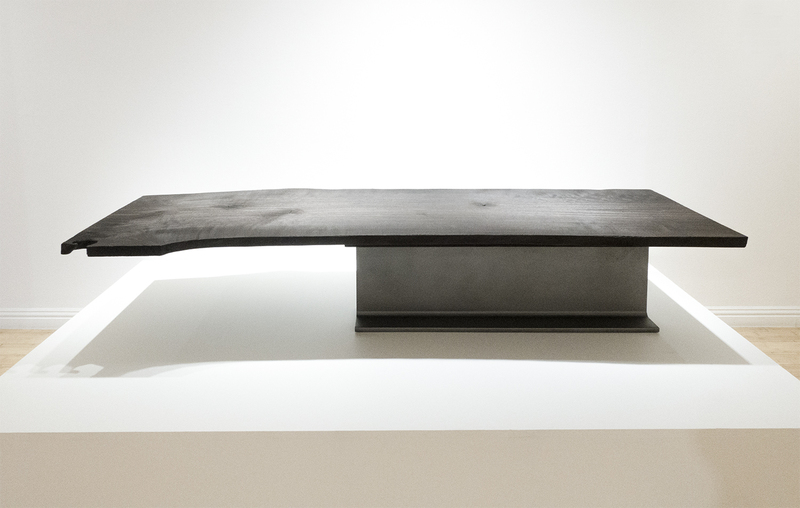 For his i table, William Stranger used a slab of paulownia, that came from a pair originally salvaged from the Arboretum for Forces of Nature. Some designers found material from trees that fell around their neighborhoods. 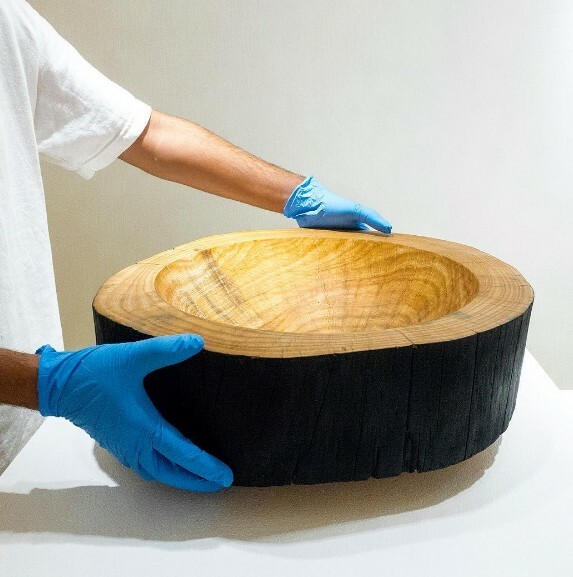 Robert Apodaca’s hand-carved and scorched Blackout Bowls are made from recovered pieces of a eucalyptus tree that knocked over power lines near his home in Chinatown. William Stranger salvaged an Engelmann oak from a house near his studio in Pasadena for his Plane mirror. Casey Dzierlenga milled a fallen maple tree in her friend’s backyard in Montecito Heights to make the Lorca Coffee Table. Designers RH Lee and Samuel Moyer also incorporate wood from windstorms outside of Los Angeles into their pieces. RH Lee salvaged pieces of claro walnut in Santa Rosa, CA that have become end tables. 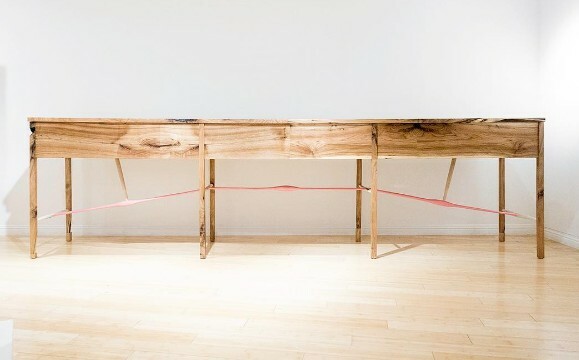 Samuel Moyer’s Arrow Console is fabricated from an ironwood tree that landed on his truck in a Hudson River Valley windstorm in New York. On July 12th 65 people participated in a CraftLab family workshop with Box Collective members William Stranger and Andrew Riiska. 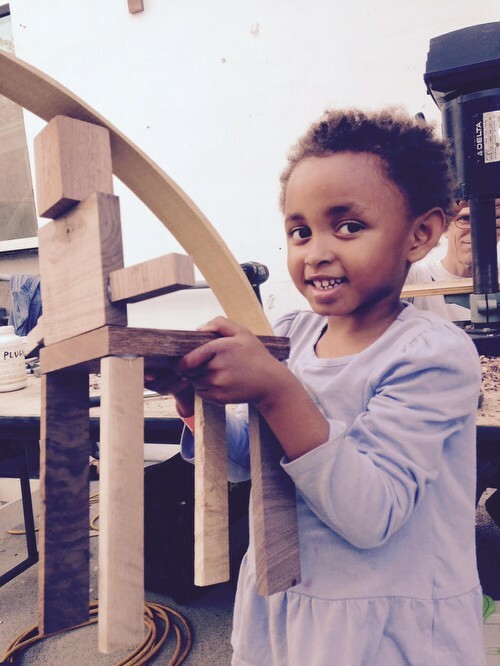 Box Collective provided scrap wood as the raw material for an afternoon of creativity. Many interesting things were made. It’s almost here! 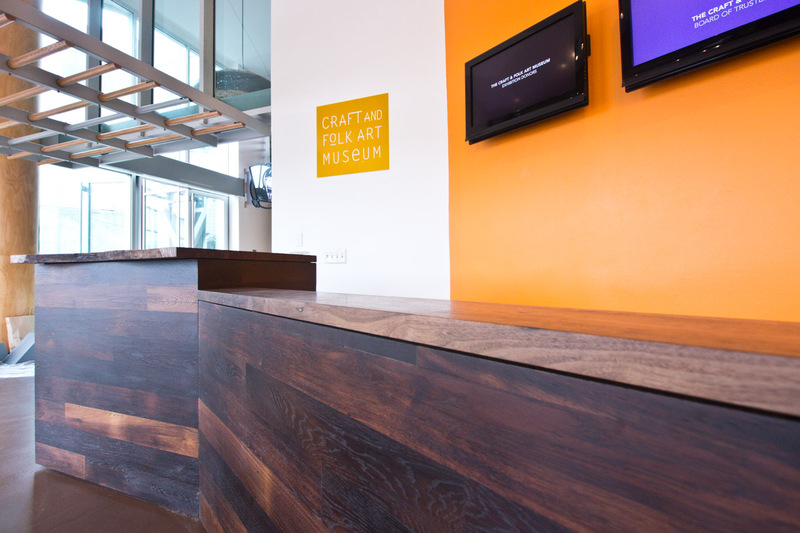 Our exhibition at the Craft & Folk Art Museum opens at the end of the month and we hope you’ll join us. We’ve been working hard on a diverse body of work for this show, incorporating locally sourced wood from the massive storm that felled many trees throughout Los Angeles in 2011. Windfall features new furniture and functional objects from members of the Los Angeles-based Box Collective, a group of designer-makers dedicated to creating innovative objects from reclaimed and sustainably sourced wood. The works in the exhibition were fabricated from trees that fell in northeastern Los Angeles during the historic windstorm of 2011. Ten members of the group will have works on display: Robert Apodaca, Casey Dzierlenga, Harold Greene, David Johnson, RH Lee & JD Sassaman, Samuel Moyer, Andrew Riiska, Stephan Roggenbuck, Cliff Spencer, and William Stranger. The opening reception for Windfall by Box Collective takes place on May 28, 2016 from 6:00 – 9:00 p.m. The reception is free for CAFAM members and open to the public for a $12 entry fee. 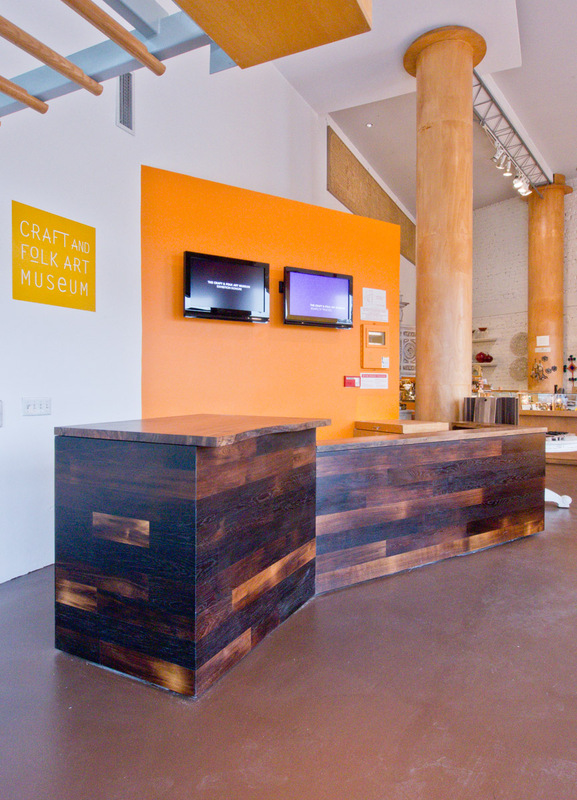 We had a visit with the nice folks at the Craft and Folk Art Museum this week to discuss our show which will take place there the Summer of 2016. It also gave us a chance to see how our desk is doing in the space. Very well I might say! I’ve been interested in Arts & Crafts lately. I suspect being near Pasadena has been an influence. Expect to see some of its details showing up in my work but with a modern perspective. 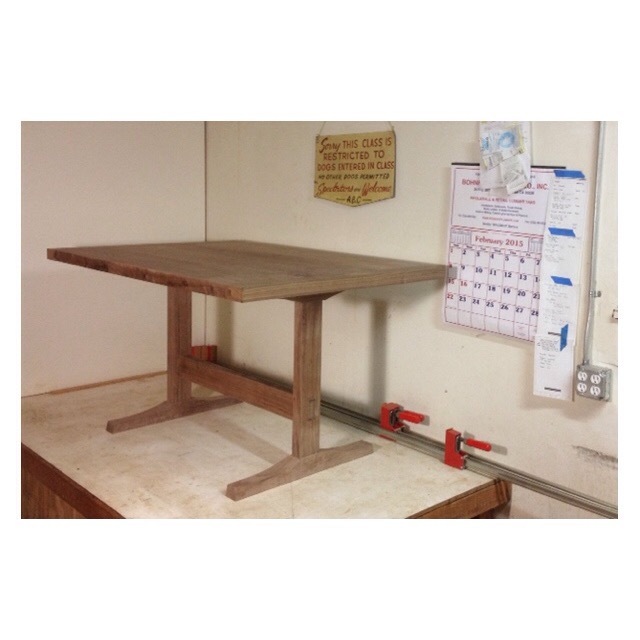 Here is a kitchen table that is on its feet for the first time. Sidecar Furniture will have a Danish cord weaving workshop at Off the Saw on August 9, 2014. 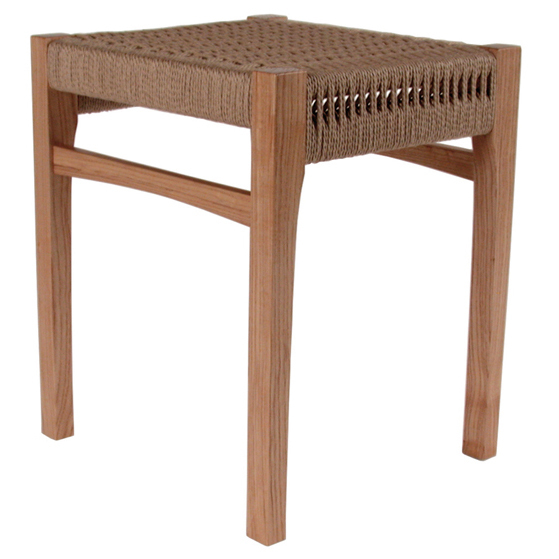 Students will be provided with a FSC white oak stool made by Sidecar Furniture and a spool of Danish cord. During this all day class students will learn the craft of Danish cord weaving and take home a stool they have woven themselves. Details can be found here. We look forward to seeing you there! Meet many of the members, working to support sustainable local designer-makers in Los Angeles.